I am just over the moon with excitement about Sweet Celebrations !!! 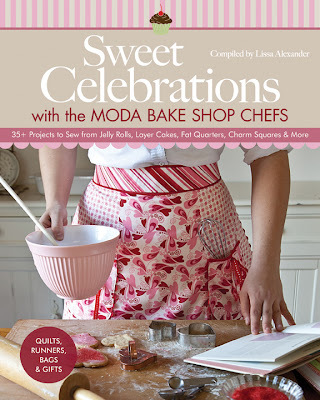 This book is going to be incredible :) Sweet Celebrations has over 35 projects from myself and some of my amazing Moda Bake Shop Chef buddies and is compiled by Lissa Alexander. And to get to see my projects photographs of how they will look in the book . . . totally amazing!!! 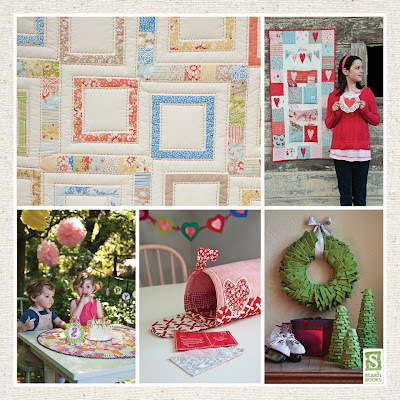 I mean, aren't those 2 little kids in the bottom left hand corner sitting over the Birthday Table Topper (that I made, squeal!!) just the cutest!!! So excited!!! That is so exciting. Congratulations. Squeal is right!! Congratulations, my friend!! CONGRATULATONS!!! Oh BOY can't wait. Hope it doesn't take too much longer to get here to the U.K.
Congratulations! This looks like a great book.